This is an old-fashioned biscuit pudding with vanilla, eggs, and milk. It is a moist and flavorful vanilla bread pudding but made with leftover biscuits instead of bread. Some of you will have fond childhood memories of this pudding, but even if you have never heard of it, you have to appreciate our grandparents' or great-grandparents' creative use of leftover biscuits. And the pudding is delicious! Serve this pudding with maple syrup, a dessert sauce, or whipped cream. Feel free to add about 1/2 teaspoon of ground cinnamon and some raisins to this tasty biscuit pudding. This is a great way to use leftover biscuits! Put the biscuits in a large bowl and add 1 cup of milk. Let stand for about 5 to 10 minutes or until the biscuits have softened. With a fork, stir in the sugar and one of the eggs, mixing to blend well. Add the remaining eggs, one at a time, mixing after each addition. Add the melted butter, vanilla, and the remaining milk and blend well. Bake for 40 to 50 minutes, or until the pudding is firm and set. A knife inserted into the center should come out clean. 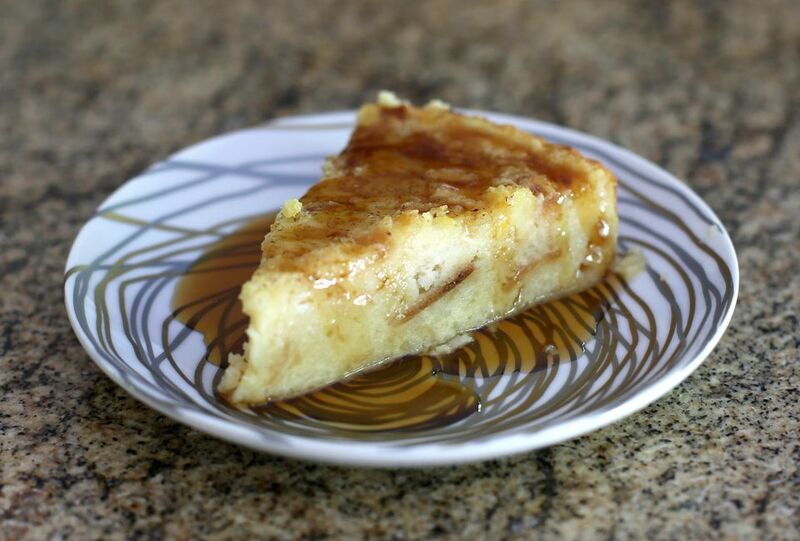 Slice the pudding into squares or wedges and serve with syrup or a dessert sauce.